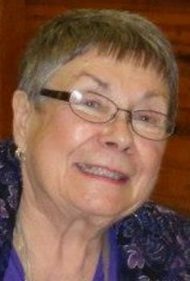 Claudia C. Preston, 82, passed away on Saturday, April 13, 2019 at Landis Homes Retirement Community after an illness. She was the wife of the late Andrew Preston, who passed away in 1999. Born in Norristown on June 1, 1936, Claudia was the daughter of the late Harry L. and Gertrude M. Washburn Croll. A Registered Nurse for 40 years, she retired in 2000 after serving as a Hospice and visiting nurse for Berks Visiting Nurse. She also had worked at the Coatesville VA Hospital and Linden Hall Nursing Home. Claudia’s faith was of great importance to her and she was an involved member of Living Hope Community Church in Lancaster. She was a member of Nurse’s Christian Fellowship. Claudia was a great source of support for others, helping others in difficult times by offering prayers and advice. Throughout her life, she traveled all over the world to many destinations. She loved to read, eat good food, and do Bible studies. Claudia is survived by her children: Rebecca married to Myron Stoltzfus of East Petersburg, Isaac married to Nicole Preston of Clearwater, FL, Martha married to Bill Bauer of Virginia Beach, VA, and Mark Preston of Lancaster, and her 6 grandchildren: Madeleine and Seth Stoltzfus, Jason and Ryan Bauer, and Michael Cabibbo and Emily Shelley. Friends will be received by her family on Saturday, April 20, 2019 at Living Hope Community Church, 2823 Columbia Ave., Lancaster, PA from 10-10:30AM, with the Memorial Service to follow at 10:30AM. In lieu of flowers, please make contributions in Claudia’s memory to Wycliffe Bible Translators, 11221 John Wycliffe Blvd, Orlando, FL 32832 or to Samaritan’s Purse, Box 3000, Boone, NC 28607 samaritanspurse.org. Claudia was in a small group bible study with me for several years when living in Morgantown. Claudia and Andy loved their children fiercely and we all prayed for you often. Later she was my one on one mentor during which I experienced a trial requiring great forgiveness. She was a gentle but persistent mentor who Holy Spirit used to bring me to forgiveness. She will be forever special to me. I know she is busy in heaven greeting all those she has influenced for Jesus. Do as Mom showed you all and lean on the Lord. We will keep you in our prayers during this difficult time. We will miss Claudia. She was such a dear and loving friend. I have many many wonderful thoughts of conversation we have had in the years I’ve known her. Our hearts go out to the whole family. May God give all of you peace during this sad and happy occasion. She is in heaven with our Lord! Claudia is going to be remembered as a Bible student and someone who loved Jesus. She showed this in her love for others and for her leadership qualities in helping people to grow in their faith for Jesus. She was always encouraging and supportive in many loving ways and was never too proud to help someone. Claudia was a wonderful woman and a great friend and mentor. I truly loved her and who she was. I will miss her tremendously! Met her at Life Group at Living Hope. My thoughts and prayers are with you all as you are going through this difficult time. I met Claudia many years ago when I was an employee at A Woman’s Concern and she was a volunteer. She had a genuine heart for young women facing crisis issues in Lancaster. She was a kind soul. My sincere condolences.